Custom Printed Tiles Made To Order. You can be sure that your kitchen will get a unique touch that nobody else will have, and this high-quality tile will actually help protect your walls and look great. Art tiles are an excellent way to make your place a unique and tranquil room, perfectly designed for your art tastes. When wanting to escape from the stresses of everyday life, there are few places that provide more of a sanctuary than your bathroom. A memorial photo-tiles tells us the story through subject matter and design places, people, and stories that we memorialise, and the audiences who engage with them. By using personalise tiles effectively in and around swimming pools, you can transform an everyday swim into a truly custom unique look. Outdoor tiles can give life to an external area transforming into an area that people love to go for entertaining friends or relaxing and enjoying the beauty of nature. Do you want a stylish and durable way to improve decorations in any room? 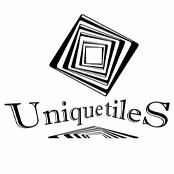 At UniqueTiles, we pride ourselves on being custom designed tiles experts. Our tiles last for decades, can improve the look of any space, and are very easy to maintain. Though many people order personalised tiles for their bathrooms, kitchens and swimming pools, very unique and stylish effects can be achieved in other areas too, internal and external. We do not limit your style to a few choices that happen to be in stock. Instead, we produce custom designed tiles that can be manufactured only for you. If you want to showcase a photo of your special memories, a custom pattern or graphic design that complements your drapes in the kitchen, or a relaxing artwork in the bathroom – we can bring your creative vision to life. It is essential for us to fully understand your brief, have clarity on your vision, and understand the feelings and emotions you aspire to achieve and then work in partnership with you to create a design which will transform your space. We know you want your tiles, especially if they are unique tiles designed personally by yourself, to be a legacy in your home and to withstand the test of time. The finish on our tiles lasts well for decades, helping to fulfil this desire for durable tiles. Working with architects, designers, specifiers and private clients Unique Tiles presents the opportunity to design, create and imagine your bespoke decorative tiles, panels and facades rather than using a mass produced choice. UniqueTiles advanced high-resolution image transfer technology is NOT DYE SUBLIMATION or UV PRINTING. Our premium technology is a kiln fired, non-toxic, environmentally friendly a process that guarantees high standards in terms of visual image quality, clarity and durability. All images are fired at very high temperatures (1650 F, 900 C) on the finest porcelain or ceramic tile making the finished product very durable.